2016 was a very busy year for the in demand bassist and Chapman Stick player. Tony Levin toured with Peter Gabriel whom he’s been with since Gabriel’s first solo album and with King Crimson as well as with his own band Stickmen. We catch up about touring and some key projects and the unique Chapman stick instrument. 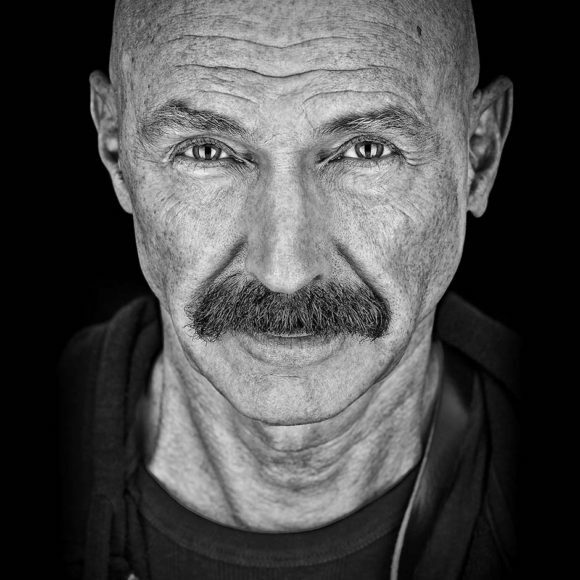 Tony Levin is a bass and Chapman Stick player, best known for his work with progressive rock pioneers King Crimson and Peter Gabriel. He was also a member of instrumental, progressive rock/jazz fusion group Liquid Tension Experiment; the King Crimson related bands Bruford Levin Upper Extremities, and with 2 of the 9 “research and development bands” for King Crimson, improvisational performance lineups that included ProjeKct One and ProjeKct Four. Levin currently leads his own band, Stick Men. The “Sticks” being drum sticks, Chapman Stick and other tapping guitar-style instruments related to the Chapman Stick. Stickmen was founded in 2007 by drummer Pat Mastelotto (also of King Crimson) and Stickists Tony Levin and Michael Bernier. Since 2010, the lineup stabilized around Mastelotto, Levin and Markus Reuter. The band was formed as a vehicle for progressive rock music performed almost exclusively with Sticks and drums. Their new album Prog Noir is now available. A prolific session musician since the 1970s, Levin has played on hundreds of albums with artists in the rock, pop, folk and jazz genres. He has appeared on recordings by such diverse artists as Alice Cooper, John Lennon, Stevie Nicks, Pink Floyd, Paul Simon, Dire Straits, Lou Reed, David Bowie, Tom Waits, Todd Rundgren, Seal, Laurie Anderson, Buddy Rich, Steps Ahead, Carly Simon, The Roches, and Sarah McLachlan. Levin is also an early first bloggers, sharing his tour experiences in a diary fashion as early as in 1996, one year before the terms “weblog” and “blog” were coined…BUT more than words his photos are beautiful. Find his blog on his website, tonylevin.com.